0800 numbers are one of the most widely used and most recognisable telephone codes in the UK – which needs very little introducing. The 0800 number holder pays a small pence-per-minute charge for receiving incoming calls, which is typically about 3P per minute. 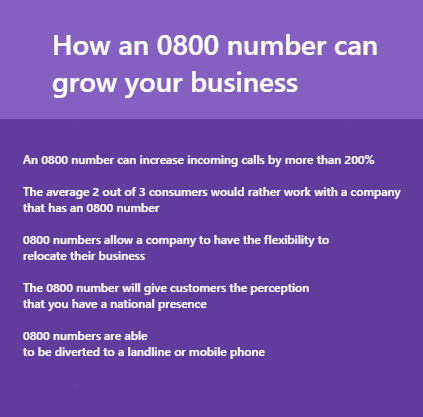 Having a free phone 0800 number can grow your business drastically. This allows you to garner the authority and credibility in terms of your business appearance. The 0800 number is able to also show that you are 100% serious on putting customers first. 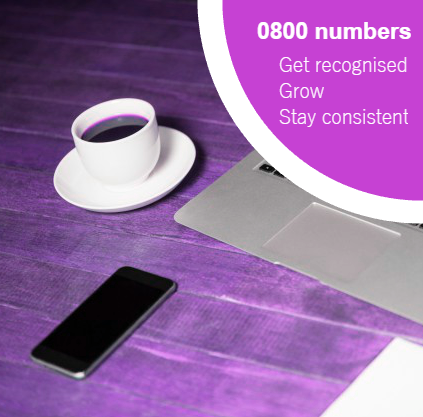 Looking for the 0800 numbers to grow your business and increase incoming calls? Then you do not want to miss out on this opportunity to buy the best 0800 free phone numbers available in the UK right now. Giving your customers the option to call your company on a free phone number is one of the most cost effective and simple ways to expand your business presence.